Fast and affordable? Compared to the high-end Samsung 840 Pro, the 'non-Pro' 840 uses the same controller but considerably less durable TLC (Triple-Level Cell) NAND Flash modules. 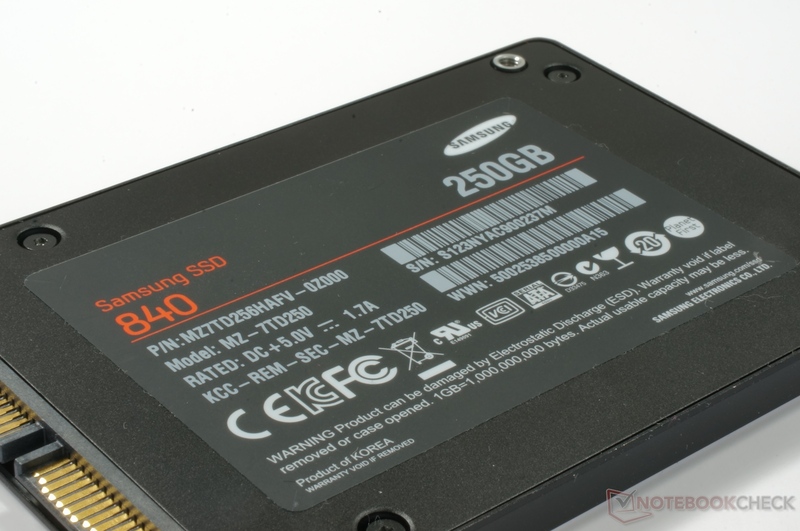 Should that stop you from investing in this economical SSD? Keep reading to find out. 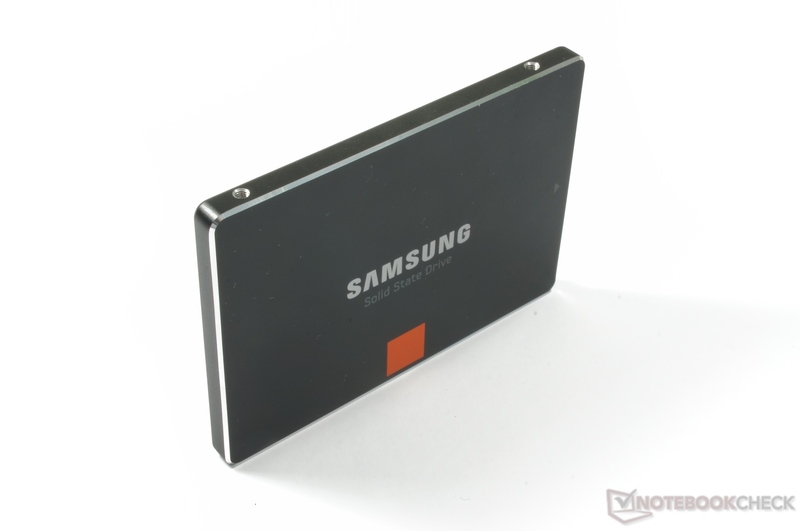 What makes Samsung different from its competitors is the fact that it produces all parts of the SSD, from controller firmware to NAND memory modules. Considering Samsung's excellent track record in terms of reliability, this may well be a major advantage, since it lets Samsung control the entire production process. The MDX controller, which is used in both the 840 and the 840 Pro SSDs, uses three ARM Cortex-R4 cores running at 300 MHz and 512MB of LPDDR2 SDRAM cache. Its features include TRIM support, wear leveling and garbage collection. We know from the 840 Pro review that this is a very competent controller, but in this case it has to work with slower TLC NAND. Some background concerning the nature of TLC NAND might be useful in this context. 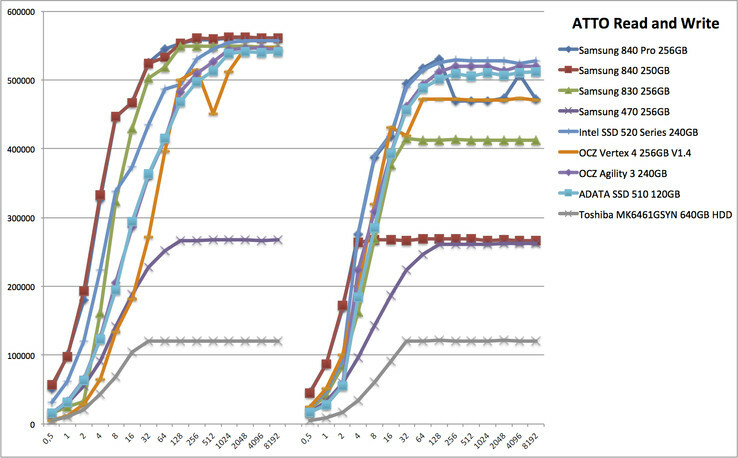 The most durable type of Flash circuitry in SSDs is SLC (Single-Level Cell) NAND by a wide margin. As the name implies, SLC only stores one bit of data per physical memory cell. SLC wears out very slowly and is therefore good for up to 100,000 program/erase (P/E) cycles. Unfortunately this type of memory is also far more expensive to produce, so it is only used in the more pricey 'enterprise class' drives. MLC (Multi-Level Cell) is the mainstream NAND variety and is used in nearly all consumer SSDs including the 840 Pro. With MLC, durability is often reduced by an order of magnitude compared to SLC, but exactly how much depends on over-provisioning, wear leveling and other factors. However, it is still sufficiently durable for consumers in practically all usage scenarios. TLC (Triple-Level Cell) adds yet another layer of complexity and further reduces durability by a considerable amount. Therefore TLC has so far mostly been used in thumb drives and memory cards, where endurance is less important due to the infrequent transfers. 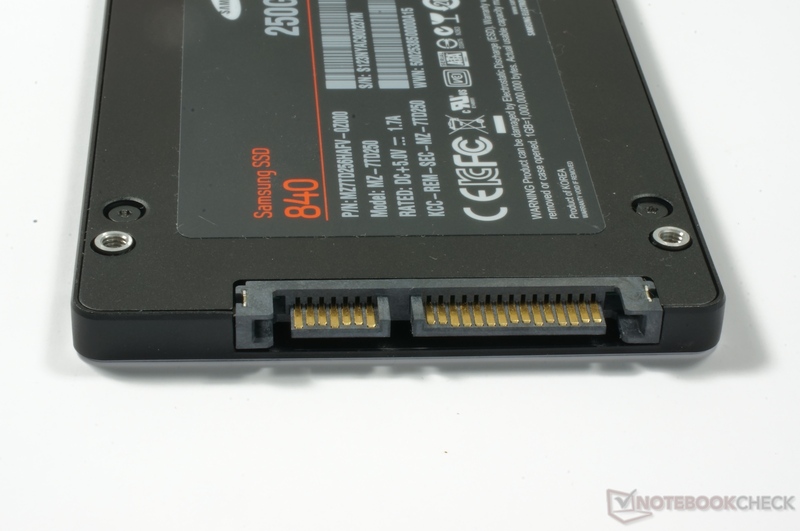 Samsung's 840 is the first computer SSD to employ TLC NAND. According to Samsung, the memory modules – although much less durable than MLC – are good for 1,000 P/E cycles. That's a hundred times less than high-quality SLC, but it would still mean that you could write as much as 256000 GB to a 250GB Samsung 840 before it finally gives in. That's quite a bit of data, and for most consumers it should be more than enough for the drive to outlast the rest of your notebook or desktop. In other words the TLC NAND is likely a non-problem for most users. 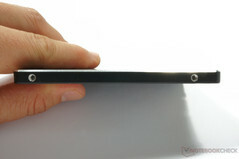 Besides, Samsung supplies the 840 series with a limited 3 year warranty that should alleviate most durability concerns. However, the actual street prices are considerably lower. For example, you can find a 250GB 840 for as little as $170 at this writing, including a desktop/notebook installation kit. The optional installation kit consists of a SATA-to-USB cable, SATA data and power cables, and a 3.5-inch adapter bracket for desktop systems. Also included is Samsung's "Smart Data Migration" software for transferring your existing data and OS to the new drive. Another detail of note is that the 840 SSD is 7 mm thick and therefore thinner than a standard 9.5 mm notebook hard drive. 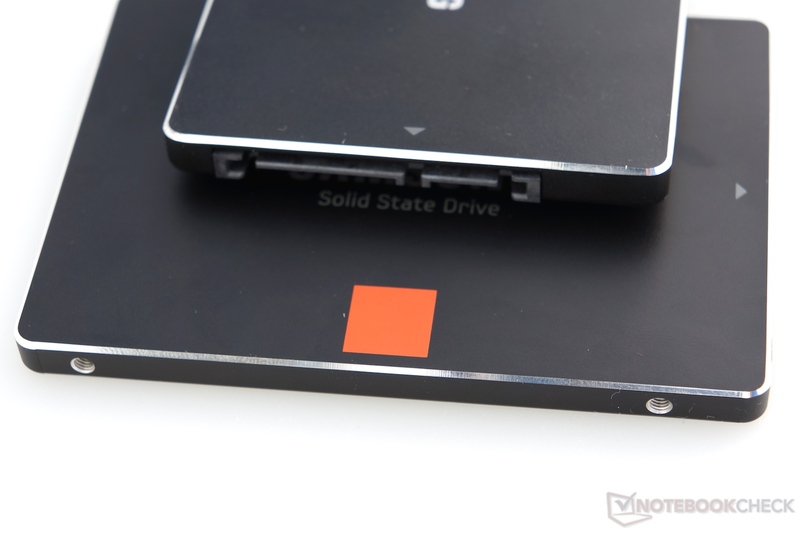 This makes the drive suitable for certain ultrabooks and other slim form-factor notebooks that use the format. The drive also ships with a mounting spacer for fitting the SSD into a standard notebook drive bay. Just like in our other SSD reviews we used a desktop PC for testing. Our testing platform consists of an Intel DP67BG motherboard equipped with an Intel Core i7-2600K, 8 GB DDR3 RAM and an Nvidia GeForce GTX 470 GPU, with all components running at their default clocks. The drive was installed in Port 0 using the Intel Rapid Storage Driver version 11.2.0.1006, and the operating system used was a Windows 7 64-bit (a full installation). For the battery test, we cloned the system drive of the Asus N56VM. In terms of sequential read throughput, the 840 is on par with the 840 Pro in most cases, meaning that it's close to the upper boundaries of the SATA 3 interface. This is not the case when it comes to sequential write speeds, where the TLC-based 840 is only half as fast as the MLC-based 840 Pro in both the AS SSD and CrystalDiskMark 3.0 benchmarks. 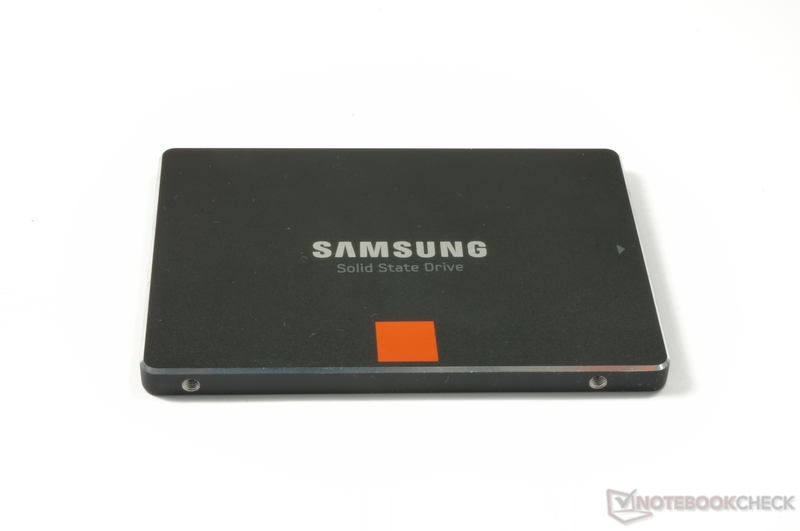 Unlike the SSDs using the ubiquitous SF-2281 and other controllers from SandForce, Samsung's drives are not dependent on compressible files to achieve their maximum speeds. The Intel 520 demonstrates clearly how much SandForce-powered SSDs rely on compression. 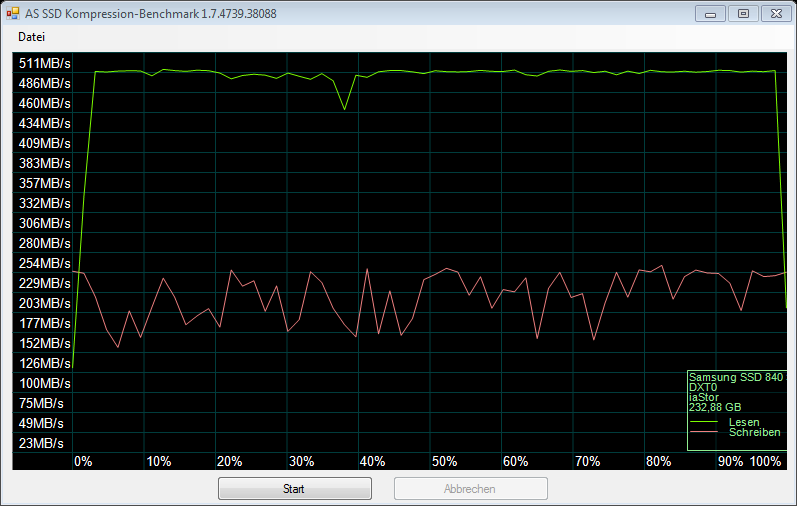 As you might expect, the write speeds are where the Samsung 840 shows its weakness compared to the high-end drives. Like the 840 Pro, it is also less consistent while writing than the older 830 SSD. 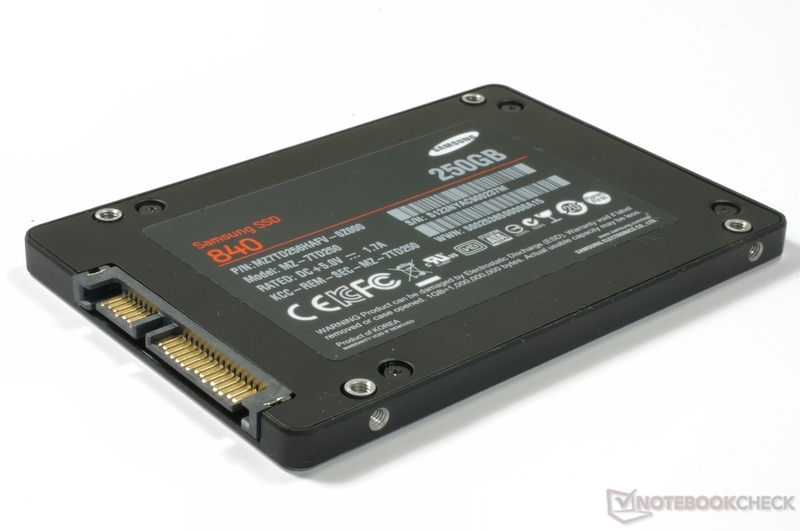 The ATTO test is useful for pinpointing an SSD's maximum transfer speeds. What's interesting here is that the TLC-based Samsung 840 is actually slightly faster than the 840 Pro when comparing maximum read speeds with most block sizes. However, its write speeds are considerably slower than all but the old Samsung 470 for all but the smallest blocks. In the 4K transfer area, the 840 shows some additional weakness compared to the Pro version, although it performs consistently better than its predecessor the 830. It also compares favorably to the much more expensive Intel 520. The vast differences in sequential write speeds also even out in the 4K tests. Access times aren't much of an issue with SSDs considering how tiny the access times are compared to mechanical hard drives. Nevertheless, the 250 GB Samsung 840 is a bit slower than the 840 Pro, which is not surprising in view of the TLC NAND, but it is still much faster than the Intel 520. PCMark provides a useful measure of overall system performance. We use both PCMark Vantage and the newer version PCMark 7. As is evident from the overall scores of both PCMark Vantage and PCMark 7, the difference between the SSDs is quite small compared to the drive-specific tests. Somewhat surprisingly even the System Storage subscore in PCMark 7 is very even. In PCMark Vantage's HDD subscore the difference is much more evident, placing the 840 well behind the 840 Pro, but also ahead of the Vertex 4. To simulate realistic "regular use" vs. heavier workstation use, we use the software IOMeter - the profiles "IOMix" and "Workstation" simulate various drive access scenarios of an average user/workstation user. Interestingly, even the Samsung 840 Pro came in behind the competition - including the old 830 - and the non-Pro 840 is the slowest of all the tested drives by a wide margin. It should be noted, however, that all SSDs in our comparison are high-end drives with the exception of the TLC-based 840. 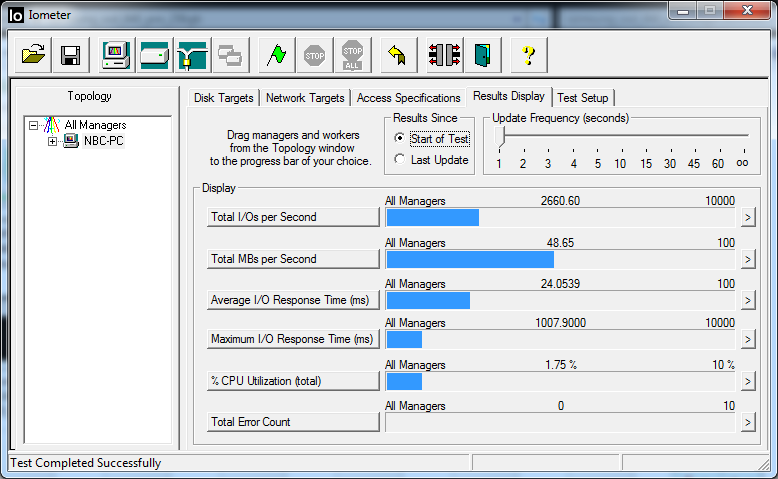 As a stress test we let the IOMix profile run on the entire SSD for 60 minutes. 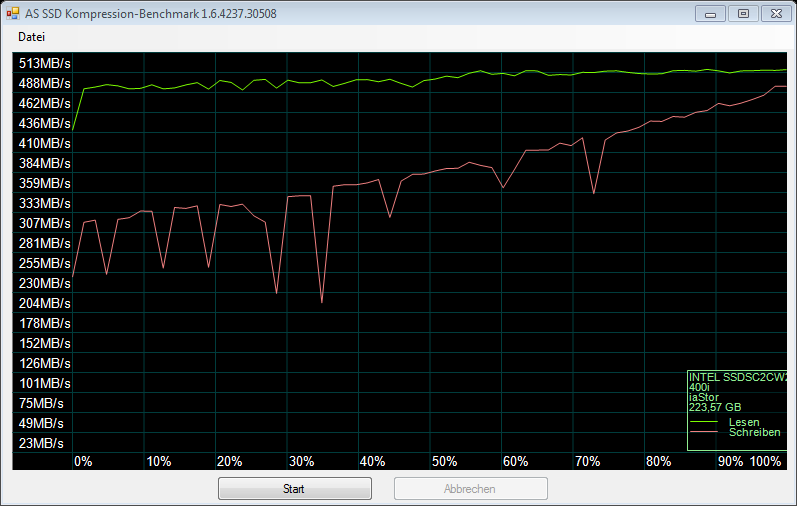 This shoud simulate the performance drop over time in filled SSDs which have been at load for extended periods of time. SSDs with more overprovisioning (dedicated spare area) should have an advantage. Samsung's SSD Magician software allows the user to adjust the amount of overprovisioning. This essentially means setting aside more spare area to lengthen the drive's lifespan. Considering the less durable TLC NAND modules used in the Samsung 840, it might be wise to sacrifice some space for a healthier drive. The 840 series performs very well. They start lower than the 830 series but will eventually outpace them by an average 49 MB/s (840 Pro) and 52 MB/s (840) (830 - 38 MB/s). The Intel 520 series remains in the lead with its 200 MB/s and loses slightly in the IOMix test. For testing the SSD as a system disk, we first use a regular stopwatch to measure boot times. As usual, there is little difference between modern SSDs when booting into Windows 7 – both the 840 and 840 Pro, as well as the old 830 and even 470 series clock in at around 28 to 30 seconds. Competing drives from other manufacturers also perform about the same. The same is true when starting the single-player mode of Battlefield 3, which takes 19-20 seconds with all modern SSD, compared to the 72 seconds required by the mechanical Toshiba MK6461GSYN 640 GB. 7200 rpm notebook hard drive. In the simulated file copy benchmarks in AS SSD, the Samsung 840 falls behind the high-end drives in all tests and proves yet again that it can't keep up with the Pro model, despite using the same controller. To test the SSDs power consumption we use two multimeters (current and voltage of a 5V wire) on the same PC used for our other benchmarks. Idle power consumption in notebooks should be reduced considerably (to 0.04 W) thanks to DMPI support, but this feature can unfortunately not be activated on our desktop system. The 0.04 W number has however been confirmed by our colleagues at Tom's Hardware. Compared to the 840 Pro, the standard 840 requires a bit more power to operate on average, but the power consumption is considerably lower than its predecessor the 830, particularly when writing. Power consumption while idle and at load with CrystalDiskMark. To measure the effect on battery life, we installed the SSDs as a system drive in a precursor model of the Asus N56VM. First we tested the maximum battery life with Battery Eater's Reader test. As opposed to our regular resting procedure, WLAN was left on. 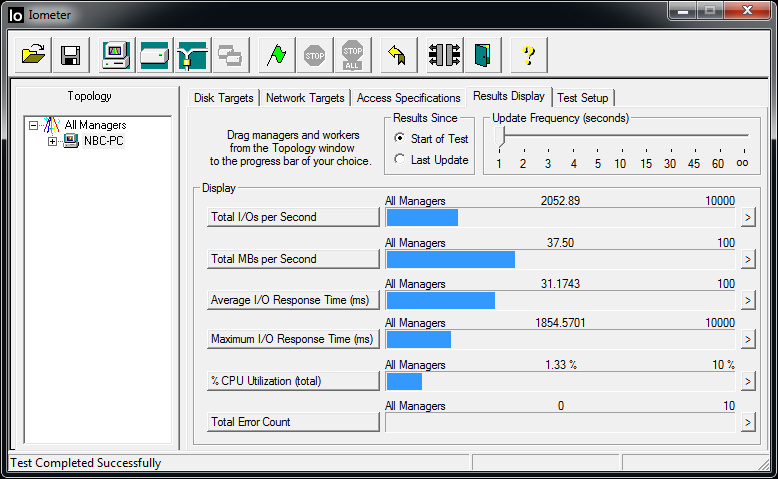 In the second test – simulating a higher load – we ran the IOMeter profile IOMix on a small (<10 GB) partition. 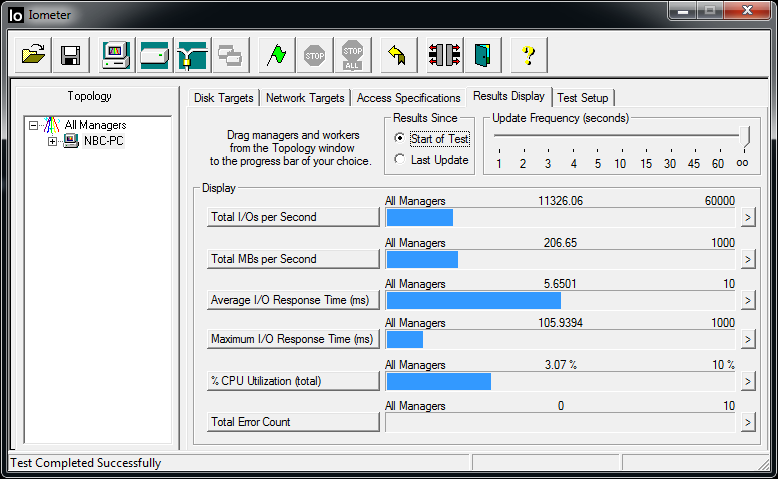 Both 840 drives produce good results, with the regular 840 even performing a bit better than the 840 Pro. However, this is not the case under IO load, where the non-Pro model fares a lot worse. On the other hand, it still comes out ahead of all the other tested SSD except the Intel 510 in terms of battery runtime under load. Considering that the two SSDs use the same controller, comparisons between the 840 Pro and the normal 840 are inevitable. Although it is a cheaper drive in all respects, the 840 still manages to keep up with the 840 Pro in terms of sequential read speeds, but falls shorts in many other areas - most obviously write speeds, but the 840 is also significantly slower than the 840 Pro in our IOMeter and file copy tests. On the other hand, the difference in everyday use should not be overly dramatic. Boot and load times are similar with all modern SSD, something that is also evidenced by the more general PCMark benchmarks. Another important factor when choosing an SSD is reliability, and here Samsung has an excellent track record. On a more anecdotal note, we have used the Samsung 840 in a production machine for several months, where it still runs flawlessly. TLC NAND should not be a major concern for the average user as it should (theoretically) last for many years. Samsung's SSD Magician software is quite useful, and in some ways better than even Intel's SSD Toolbox in that you can assign you own amount of overprovisioning. Setting aside some extra storage space to improve the drive's longevity might be a good idea in this case, to be on the safe side. As long as Samsung can keep the price considerably lower than high-end drives with better NAND, the 840 series is an attractive alternative. This is particularly true for users who are looking at upgrading to their first SSD at a reasonable cost per GB.